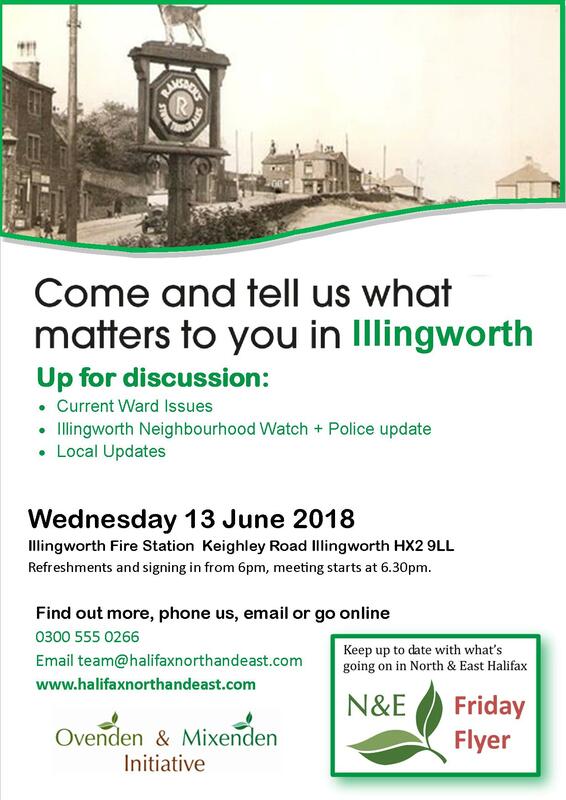 The Illingworth Ward Forum is a chance to talk tell us what matters to you in your area and the meeting includes the Neighbourhood Watch group and a police update. Refreshments and signing in from 6:00pm, meeting starts at 6:30pm. With the new General Data Protection Regulations, we have not been able to contact some of the regular attendees who have not opted into our email list to remind them of the next Ward Forum meetings. Please remind any friends and neighbours that this is your chance to give your views and have a say what matters to you.